Tailored electronics and control systems. Did you ever wonder how machines and electric vehicles actually work and make decisions? How new cars are capable of parallel parking, as smooth as a well-trained private chauffeur, while for some of us it was the biggest challenge we faced up to that point in our lives. Or how the auto-pilot function of a Tesla is able to detect an accident before it happens and can take adequate measures? And what of drones, capable of flying in a straight line, zigzagging between objects and still reaching a person in need of medical help or delivering emergency supplies? As humanity progresses, technology becomes more dominant in our lives. Compared to 100 years ago, we have come to the point where we cannot live without technology. Most tasks that we deem standard or just don’t stop and think about are already standardized. Take for example the luggage or parcel system in airports, where you leave your bags in a machine at your departure and when you get out of your plane on the other side of the world, everything is arranged and your bags arrive at their pickup point. It amazes me how well kept this immense piece or logistical technology is from the general public. A large part of our day consists of making use of systems like this, whether we are actively using it, like smartphones, or whether it works for us with as little knowledge of its existence, to give us comfort of not thinking about the entire logistical operation, such as your luggage when going on a holiday. Essentially, we trust devices to control a part of our lives. For people, this has both benefits and weaknesses. What if something goes wrong? What if the device malfunctions, or worse, if it makes a decision that you would not want it to make? Without going into the endless discussion of how far technology should influence or lead our lives, I find the consideration of how much we should still have control over autonomous systems interesting. Because it is a sense of comfort, knowing that, no matter what happens, you will always be able to take matters into your own hands. The notion of technology relieving you of certain tasks is appealing, but the sense of remaining in control speaks to me even more. This shows in our work at Dot Robot. 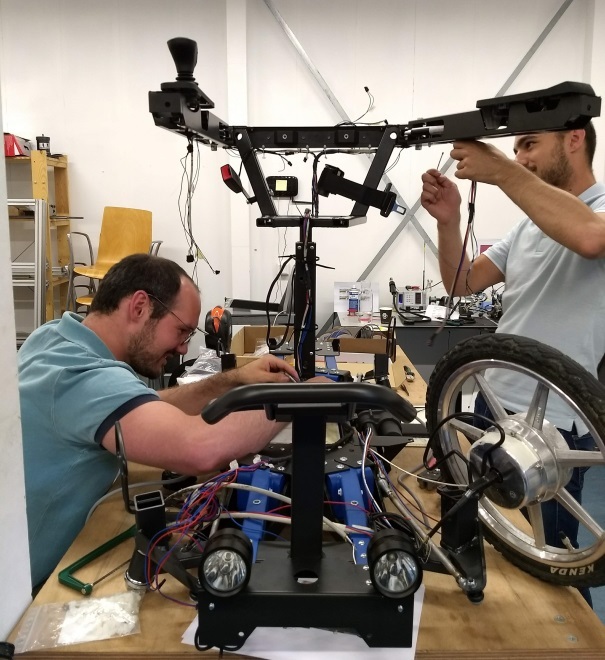 During the design of the drive controls for Scoozy, we wanted to ensure that the user is always capable of stopping the vehicle in case of an emergency, making sure that the user is always in full control, no matter what happens. The key is that going back to a safe position must be intuitive and nearly a natural reaction. Knowing that people will react different to some situations, different ways of stopping were designed, greatly minimizing any risk. But also additional under the hood safety-measures were taken! In the software itself, there are fail-safes to guarantee that errors are caught before something can go wrong, such as when a sensor reading is way off its nominal value. This type of redundancy is meant to create trust with the user. We believe the user is much more comfortable giving new technology a chance when they can always intervene or, as Frankie said it, do it their way. Flying cars, it’s something that many kids dream about at some point. Ten years ago, no sane individual actually would have tried to build a flying car, but things started to change when drones became a common concept. Suddenly people could see at first hand that the technology behind a drone was relatively simple (merely a battery, a few rotors and a flight computer) and that scaling this concept was not an insurmountable task. And so visionaries started to dream, companies were founded, investments were made, and large teams of engineers tried to become the first company to develop a safe and affordable flying car. Famous examples are Lilium and the Volocopter 2X from Germany. Closer to home, PAL V, headquartered in the Netherlands, announced in February 2018 the production start of the first 90 ‘Liberty Pioneers’. Recently I also came into contact with the Ehang 184, an autonomous multicopter made in Guangzhou, China. If you take a look at their company movie: what an immense contrast from their European competitors! Truth be told, I’ve become a bit of a fan of China, or at least the Chinese way of working. Not because of their dirt cheap gadgets, but because of their diligence and their austerity: they like to work hard and they don’t like to spend unnecessary money. 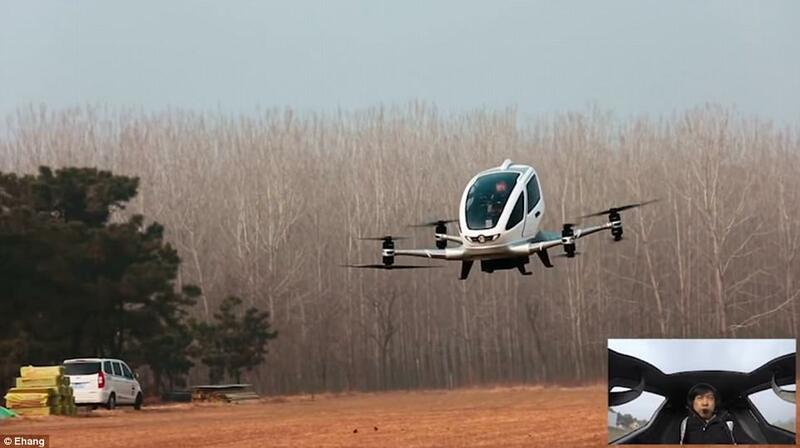 This Chinese way of working deeply affects how a development like flying cars is handled. In China, instead of lengthy preparations and bombastic plans, they get to work with one small step. After the first step, they take a second step. And then a third step. And so on and on. With every step, they upgrade the performance or increase the quality or they put their prototype through a more difficult test. After many steps, a safe and affordable product is born. At Dot Robot, we believe in this way of working. Making prototypes, many and early on in the process. Making small design iterations instead of large revisions. Testing every time something meaningful changes, even if it means testing every day. The first production versions of the DCU and the HMI should see daylight by the end of September. Proud to be partner of Scoozy! Back when I was a student at the TU Delft, I joined the Nuon Solar Team. For me, this came down to a year of adventure, focused on building a solar powered car which could compete in a race right through the heart of Australia. Initially I joined as an electrical engineer to develop and build components for the car. But my real contribution has been in the later years, when I took up the role of race manager and advised the team on strategic, and often stressful decisions during the 3000km long race. By now, I have participated in 6 solar races and I am very proud to have been able to contribute to the winning streak of 4 consecutive wins of the Nuon Solar Team. To win the World Solar Challenge, you have to build a car that is on the edge of technology, optimized for performance and robust enough to be able to cross Australia. In order to achieve this, there is a never-ending search for high tech parts; the electric drive has an efficiency of more than 99%, and the vehicle aerodynamics ensure that the power consumption is under 1kW! With every race, the conditions and rules change a little bit, such that the team is forced to change the design every time. Back in 2011, the hot topics where the high-efficiency electric motor and the on-board computer. As a student team, we did not have the time or resources to develop everything from scratch, so we reached out to suppliers such as Mitsuba and Technolution, who were able to help us with customized parts that perfectly matched our car. Today, different topics are important. Autonomous driving capabilities are entering the world and as a result, the Nuon Solar Team is investigating the potential of intelligent driving assistance to make the car more robust against environmental circumstances such as wind gusts. As always, the team needs to do this with limited resources and limited time, and that is where Dot Robot comes in. 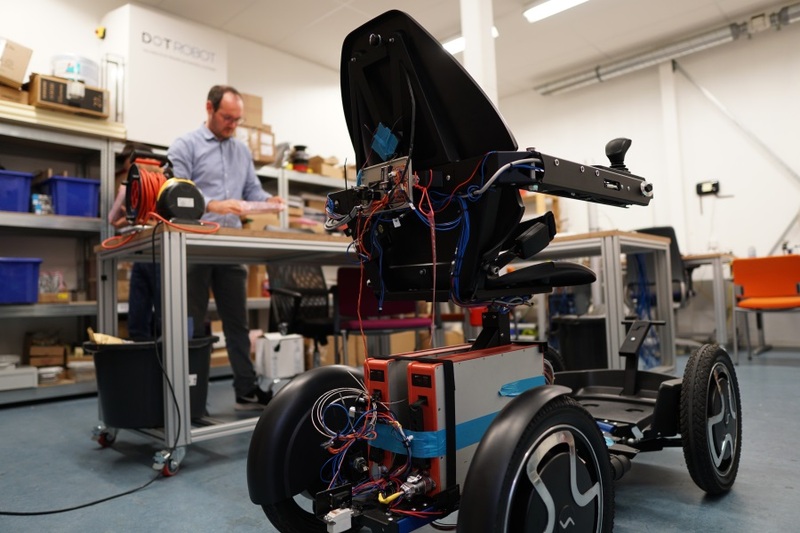 As Managing Director of Dot Robot, I’m proud that we can support the team with our expertise. Our contribution will be to share our expertise in the field of intelligent driving and to help the team with the electronic hardware. 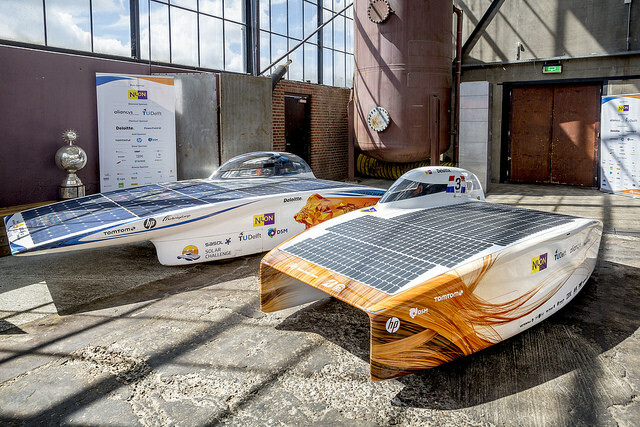 Coming October, the team will test their modified vehicle, the Nuna9s, during a solar race held in South Africa. For the team, this is an opportunity to demonstrate their new technology and to develop the car to perfection. I wish the team a very successful race in South Africa, and I hope for another win. I am very proud to be a part of this adventure (again)! On March 20th to 23rd, the ESEF trade fair is being held in the Jaarbeurs, Utrecht. ESEF is the largest exhibition in the Benelux area in the field of supply, outsourcing, product development and engineering. ESEF is the place to get inspiration on the latest developments, novelties, and the newest supply strategies, knowledge transformation and make lots of new contacts in manufacturing. Join us at our booth (02.A022), right next to the VIP and Business lounge, for a chat and a coffee! Contact us for your personal code for free entrance to the exhibition. Are you ready for a head start? Every now and then, I’m surprised by the large gap between industrial electronics and hobby electronics. Industrial grade hardware is often expensive, outdated and bulky. Hobby electronics are tiny, powerful and cheap. It’s a strange contrast. Both are happening in the same present time: my neighbor, monitoring and irrigating his vegetable plants while staying at his holiday house in Spain, but the next-door factory using electronic control modules from the 90’s and having difficulties to buy a spare connector because they are no longer in production. So why is that? The most obvious reason is robustness. Modern control electronics haven’t been around for that long, so they have less proven reliability. In addition, modern modules are more complex, thus increasing the risk that at some point an internal process goes wrong. Imagine you’re the owner of a chemicals processing plant. 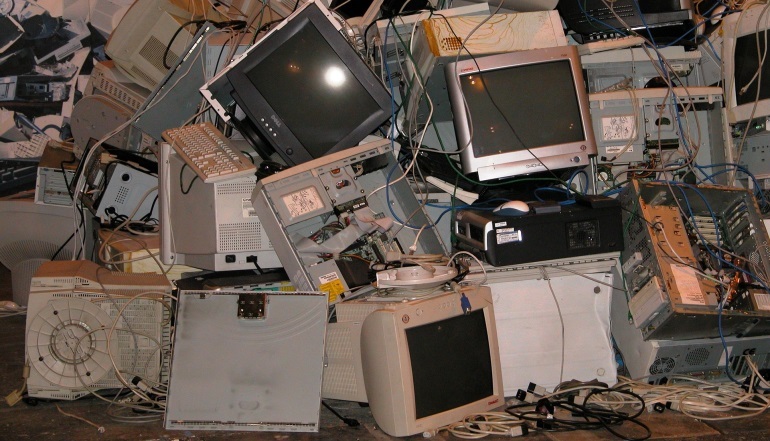 You don’t want to take the risk that your processes go out-of-control. You choose robustness above all. So is there no reason to choose for modern control technology? Well, there is, and the reason is brain power. The brain power of modern control hardware is orders of magnitude larger than similar devices from the 90’s. Today’s single-board computers, sometimes adding a powerful GPU next to a CPU, can easily out-smart a Russian chess genius. And more brain power can be used to leverage superior performance. A nice example is the story of Kongsberg Maritime, a Norwegian technology company that has been around for 200 years. In the 1960s and 1970s, when offshore oil exploration started in the North Sea, the need arose to keep ships on position without anchors. Several companies started developing and selling ‘dynamic positioning’ systems, which control the ship’s propellers such that the ship stays on position. All companies claimed to have the best performance, but their underlying technology was identical. All of them used standard PID control. In 1975, a Norwegian professor, Jens G. Balchen, started working at Kongsberg Maritime and noticed that they could improve the performance by using a new control technique, the Kalman filter. The technique had the potential to make dynamic positioning 10 times more accurate, but there was only one problem: they needed more computer power than available in industry-approved hardware. Nevertheless, the guys from Kongsberg went for it and integrated state of the art hardware in their dynamic positioning systems, with spectacular performance as a result. Today, 40 years later, Kongsberg is still in pole position. They have used their head start in 1975 to win big contracts, and they have used the profits to do smart acquisitions and maintain their leadership. I believe that there are many similar stories to this one, but also many cases where people have chosen for technology-as-usual and missed the opportunity for a head start. Perhaps they didn’t recognize the opportunities. Or perhaps they were not aware of the latest technology. That is what Dot Robot stands for: making modern control technology widely available. Our goal is to give you a head start. Our expertise is in state-of-the-art electronic control modules and electrical sub-assemblies. Our product is a tailored brain for your machine, including wiring to all sensors and actuators. And regarding robustness: our solution is simple. Testing, testing and testing, until it achieves the same robustness as the old-school technology.